NEET 2019 Admit Card updates: NEET UG 2019 Admit Card is now available online. National Testing Agency (NTA) released National Eligibility Entrance Test (NEET) 2019 admit card today evening. NEET UG 2019 Admit Card: Catch live updates below. 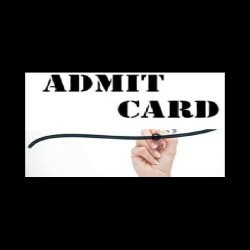 9: 15 PM: NEET UG 2019 Admit Card released. 4:00 pm: NTA to release NEET admit card in the evening. 3: 45 pm: Students should keep their registration number ready. 3: 25 pm: NEET UG Admit Card will be available online shortly. - Go to the official website nta.ac.in. - Click on the Medical examination link. - Hit the Submit button to submit details. - Download and take a print out of your NEET 2019 admit card.